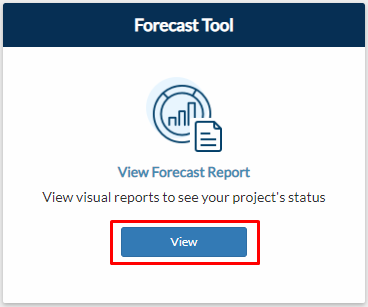 Forecast Tool is a feature where you can view your project's status. It displays a summary of your expenses, labor costs, and overheads allows you to forecast. It provides you with an estimate of your net margin. From your project page, go to Dashboard/Management tab and click View on the Forecast Report tile. From the navigation bar, go to Management > Reports > Forecast Report > Forecast Report. Or type in 'Forecast Report' from the search bar located on the upper right corner of your portal. 2. Choose the Project Name then select View Record. This only applies to forecast outside project. 3. Displayed will be the four areas of forecast: Expenses, Labour, Overheads, and Project Financials. Click on the tab to view more details. Data presented are from your expense form submissions. The Cost Centre column displays the list of to which cost centre your expenses were spent. It is populated by the items listed on your Project Breakdown (Price Breakdown, Variation Breakdown). You can click the View button on Supplier or Subcontractor Name column to view the supplier where you spent your expenses to. You can add another row by clicking the “+” button on the left most column. This is where you can add another row of records that you want to forecast its cost. You can add notes on each row through the Add button on the right most column. You can view the formula of the computed numbers if you click any data in blue text. You can modify the values on Contract Price column. By default, it's populated with the amount saved on your Project Breakdown. Under the expenses, click View to see the Purchase Order and Subcontract Agreement. 1. Click Quick Purchase Order button to create a Supplier/Contractor Purchase Order through a quick form. Just fill out the form and click Save. 2. 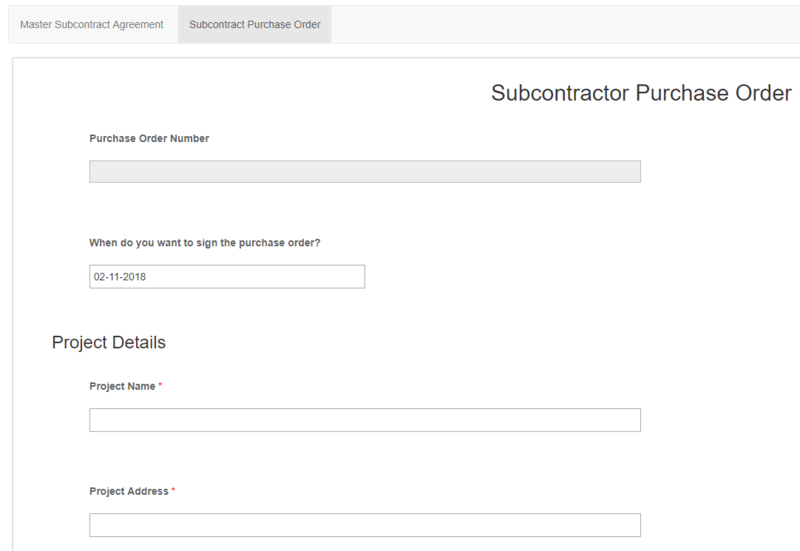 Click Purchase Order button to create a more detailed Subcontractor Purchase Order. It will open another page where you can fill out the details needed. Once done, click Submit. 3. 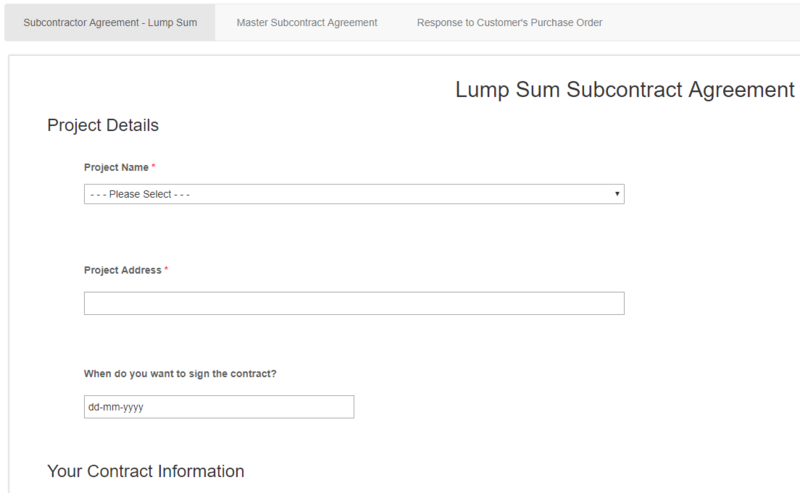 Click Subcontract Agreement button to create a Lump Sum Subcontract Agreement. It will open another page where you can fill out the details needed. Once done, click Submit. Data presented are from your timesheet form submissions. The Employee Name column displays the list of all the employees who rendered work hours on your project. You can click the View button on Cost Centre column to view which cost centre the employee worked at. The employee's hourly rate is displayed under Rate column. This is populated from the contacts form where you first stated the rate. Modifying this will only take effect in your forecast tool. Input value on Estimated Hours to see what would be the cost and the profit if the employee rendered this number of hours. You can add another row by clicking the “+” button on the left most column. Click View then the number under Current Hours column to see the breakdown of the employee's rendered hours. 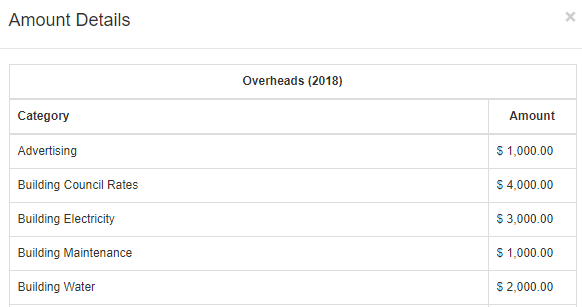 Click Overheads bar to see forecast for the project’s overheads. Filter the result by choosing a date from Start Date and End Date fields then click View. Clicking the number under Overheads Total will display a list of all your overheads expenses on your project. These data are from the Overheads Report. 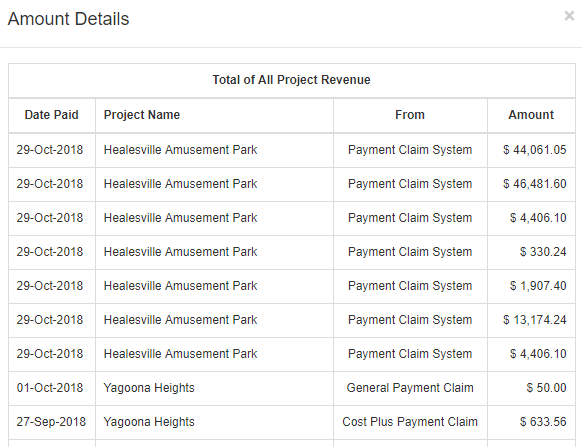 Clicking the number under Total of All Project Revenue will display the submitted claims on your project. You can modify the values on Estimated Amount column and Forecasted Amount column. This area contains the summary of your financials. You can enter Estimated Project Duration in weeks to see how time affects your profit.